Suspect surrendered to police less than two hours later. 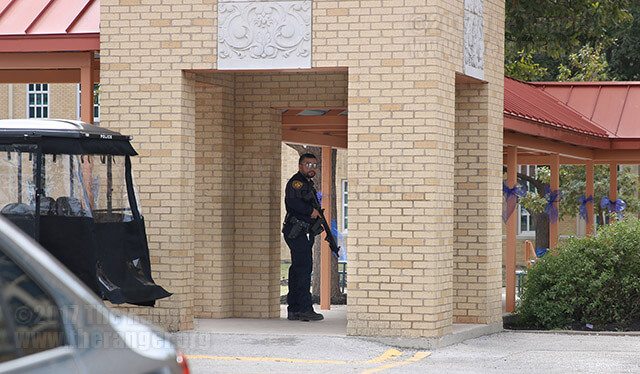 At 10:23 a.m. Thursday, a lockdown at Travis Early College High School was issued after a student received threatening text messages from a former boyfriend. 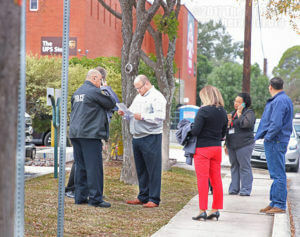 Officers of the city, Alamo Colleges and San Antonio Independent School District’s police departments responded. An unnamed male suspect texted threatening messages, including the use of a firearm, to a female student at Travis. The suspect was not at Travis at that time of the texting but arrived with his family on the campus shortly afterwards and surrendered himself to police. Police apprehended the suspect at 12:07 p.m. He did not produce a weapon upon his arrest. The suspect is of age to be tried as an adult, police said. 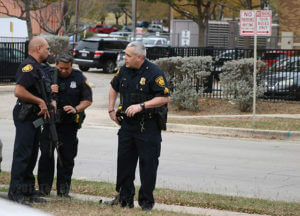 SAISD’s police department will file any charges against the suspect. Douglas said that he didn’t know of any past crimes committed by the suspect. The lockdown was lifted at 1:05 p.m.